Once the majority of the detailed project management requirements are complete then all bets are off. This is the stage to push, push, push your team leads for detailed project plans and project resource planning. The way they will do this is by checking which requirements impact their team. They should have a good idea about this having atended the requirements workshops. Then they will ascertain what makes sense to develop when and in what order. At this stage this planning is done purely on what works for their own team, taking into account the other workload they are dealing with and trying to plug your project work into that. So for example using the development team to illustrate the point, the team may be working on 4-5 different projects at the sametime all of which utilise the same codebase. Merging bug fixes into the various separate codebases is a difficult job to manage and this is something which your development team lead will need to take into account when determining the best way to deliver what you require. Okay so now you've got all the individual team project plans and their resourcing estimates. Surely all you have to do now is paste them all together and voila, you have a detailed, viable plan? If only life were that easy! The reality is that what makes sense for each team in isolation to work on, when put together with other team deilverables this often does not work. So many teams like to deliver the toughest functionality for them first. But this may not be the same for each team. So for the BA Team it may be the payment module. Creative it may be a particularly tricky navigational toolbar and for the test team it may be the upload of new products to the website. The key idea of project planning in teams is to bring all these varied interests together so the team operates as a conveyor belt. Obviously this requires good negotiation skills on your behalf, and compromise on the side of the teams but this should be a key part of any project manager's skillset. Basically you hold a meeting and run through the various plans. Let the team leads negotiate and only step in if the discussion appears to have stalled. 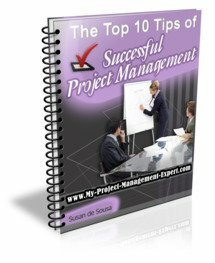 By doing this quickly your plan will be adjusted and should become a seamless operation where deliverables are passed from one team to another and are completed with the least project risk, the least project budget and the least time. When having your final planning session with your team just remember to invite only those teams leads who are on the critical path of delivery and who have dependencies on other teams. Otherwise if you invite too many team leads the meeting can become unproductive very quickly and you will end up chasing around yourself getting the project plan finalised. Further all of these points assume that your teams leads are experienced anc capable. If they are neither of these things then double check all the plan and resourcing estimates they give you with your fellow project managers just to be on the safe side. I once had a newbie Test Team Lead who in his project plan scheduling forgot to include himself and didn't realise for 2 months!